Blacklands Mill House is a recently refurbished home in the Heart of Wiltshire. 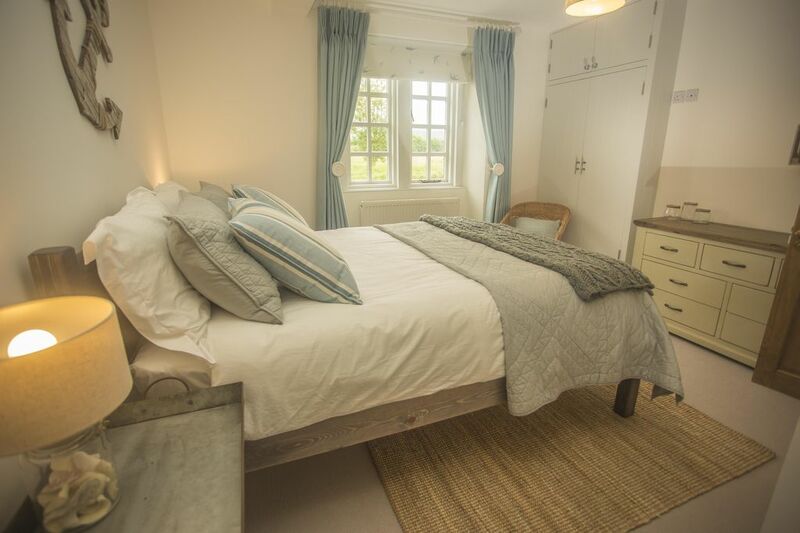 It has wonderful views of the Marlborough Downs, Wansdyke with a Lake in the garden. The standard price is for 5 bedrooms, we have 2 additional rooms available priced on a per person but will be charged for a minimum of 2 persons per room. This also gives access to our games room, this could also be available for an extra £100 on a 5 bed booking. All rooms are en-suite and individually decorated. They all have a 32" TV, Hairdryer with Tea/Coffee Making facilities in the rooms. The property is located well for walkers, golfers, nature lovers, the house is adjoined to an early 19 th Century Flour Mill which we will be restoring in the next year. There are many options to choose from when renting this home. Family gatherings, which can include small group celebrations. Wedding parties wanting somewhere for everyone to gather pre and post wedding. We are local to Wellington Barn and Bowood. Please contact us for special rates. We are the Raven Family. We bought Blacklands Mill House and Farm in 2013. We have been gradually renovating the house, surrounding farmland, buildings and stables. We have finally finished the house. We still have lots to do around the Land along with farming duties. Blacklands Mill House has heaps loads of history attached to it. It still has a working flour mill attached to house which is one of next projects. We are hoping to be able to show people round and let them have a go at Milling in the future. The grounds are wonderful the Lake is so tranquil, watching the Swans with their babies through the summer all the ducks and the trout jumping is great to watch. The Lake is one of the unique benefits along with the views. The house has been refurbished to high standard, it has a good size kitchen with a brand new Aga. We have a lovely Jotul wood burning stove that comes with wood supplied. we have TV's in ever bedroom as well as in the snug and the lake view dining area, all have digital freeview. No children under the age of 12 permitted in hot tubs at any time without a parent or guardian. It is also by our treatment room that has non resident customers during the week. Please note that this property has not been designed with children in mind and has no child safety items fitted anywhere in the house or grounds. We also have a beautiful lake and river but it has no guard rail or fencing and any children must be supervised at all times as we would not want any unpleasant situations to occur. We booked this stay over the Christmas holidays. The Mill house was in a beautiful location overlooking the lake and with a beautiful view out into the country..
On arrival the Mill house was warm and inviting, seasonally decorated. The house was clean both inside and out and was well catered for the large group with cutlery and crockery. The hot tub was a great treat and the spa treatments were arranged by Jasmine made this a great relaxing stay. There were plentiful towels provided for both use in the house and for the hot tub. There are plenty of opportunities for walks which we took advantage of (Lansdone monument and White horse). The owners were always available if we had any questions, only a call or text message away. Overall this was a very relaxed and enjoyable stay and we full anticipate booking again to see the country side in the spring or summer. Thankyou for making this a memorable stay. 10 friends catching up pre-Xmas and the house had everything we wanted and more. Hosts were so welcoming - giving local tips and always available to answer any questions. Well equipped kitchen and facilities throughout and the hot tub was frequented! Spa treatments highly recommended also. We stayed for start of December and they’d even put up a tree with decorations to make for the perfect festive, celebratory reunion. Thanks so much. Thank you for you review, we hope to see you again in the future. Absolutely beautiful property! Perfect for a family get together! We rented the house for a few nights with 4 other couples for my husband's 40th birthday and it was perfect! Fantastic rooms, all en suite and equipped with TVs and tea/coffee, so it was great. Kitchen has everything you could possibly want. The views from the dining room were stunning. Owners were very helpful and the few of us that had treatments said that they were amazing. You can walk to the pub via fields or the road, which is a nice little stomp. Hot tub was lots of fun in the chilly evenings. Overall had a super time and hope we get to go back someday! The owners thought of everything to make our stay as perfect as possible. The house was warm and welcoming, the bedrooms were all ensuite and had such comfortable beds. We really appreciated Jasmine popping in when we arrived to make sure we had everything we needed. We enjoyed having our breakfast while enjoying the views over the river, mill pond and fields. Beautiful!